With the 2018 Volkswagen Tiguan, buyers who are current Tiguan owners will find everything they love about their SUV, but with a host of improvements that make it that much more appealing. And for those who have never set foot in a Tiguan, they will find that Volkswagen’s new SUV provides a blend of driving pleasure, performance, efficiency, comfort, and versatility that is very hard to find elsewhere in this segment. The 2018 Volkswagen Tiguan is powered by a 2.0-liter, turbocharged four-cylinder engine that delivers 184 horsepower and 220 pound-feet of torque. This engine comes standard in the entry-level Tiguan that starts at just under $30,000, and can be paired with Volkswagen’s efficient and capable 4Motion all-wheel drive. The great thing about the 2018 Tiguan’s engine is that it requires absolutely no compromise from both a power and efficiency standpoint. It is indeed one of the most powerful engines in its segment, but it is also one of the most efficient with an average fuel economy rating of less than 9.0 liters per 100 kilometers in combined city/highway driving. The other feature that most will love about the 2018 Volkswagen Tiguan is its improved interior space and overall versatility. Indeed, there is now over 1,000 liters of cargo space in the Tiguan with all seats in place, and more than 2,000 liters with the rear seats folded down. That makes Volkswagen’s compact SUV one of the most spacious in its segment. Moreover, thanks to an extended wheelbase, you now have the possibility of adding a third row of seats to the Tiguan’s interior, and thus can transport up to seven passengers when needed. That’s a rare find in this segment, and one that sets the Tiguan apart from its competition. 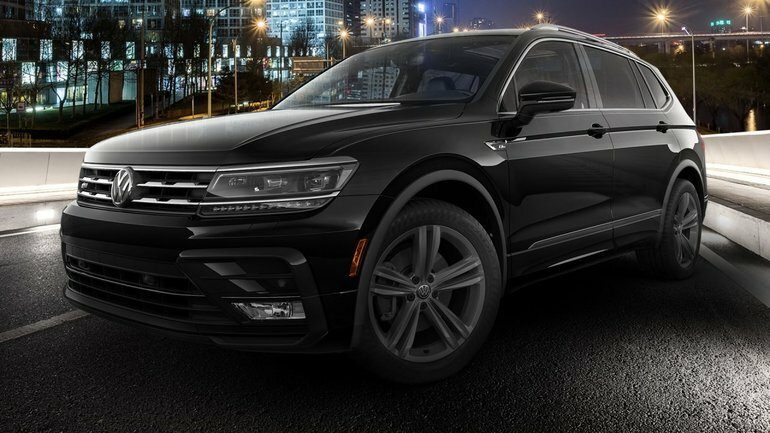 To learn more about the 2018 Volkswagen Tiguan, contact us today at Vernon Volkswagen!